What is luxury? A state of mind, a set of rituals and nuances but also and above all taking time for yourself. Give yourself some attention, taking care of yourself by focusing on what you love the most. This time translates into “personal pampering“, which is even more special if shared with a special someone. This is how, with your other half by your side, your break really becomes a quality vacation. And what better situation to enjoy this break if not on a vacation for couples? Time for yourself and time for two. Maybe on a holiday that goes beyond conventional definitions, to destinations that fulfill desires thanks to details and attention that respond to every need, even to those that are still unexpressed, taking into account our personal tastes. Let’s start by looking for the most exclusive destinations in the world for an absolutely memorable luxury vacation for couples. When it comes to luxury, restaurants, and hotels around the world are continually able to redefine the boundaries of their exclusive offerings to guarantee their clients unparalleled experiences. At almost every destination it is possible to find different styles of luxury in various forms. This is why, first and foremost, it is important to have a personal definition of luxury. For some travelers, for example, we could talk about private islands rather than a private butler, or even a classy dinner served at an exclusive table in a five-star restaurant. Your idea of luxury, in essence, is what will dictate the guidelines for each holiday you plan. 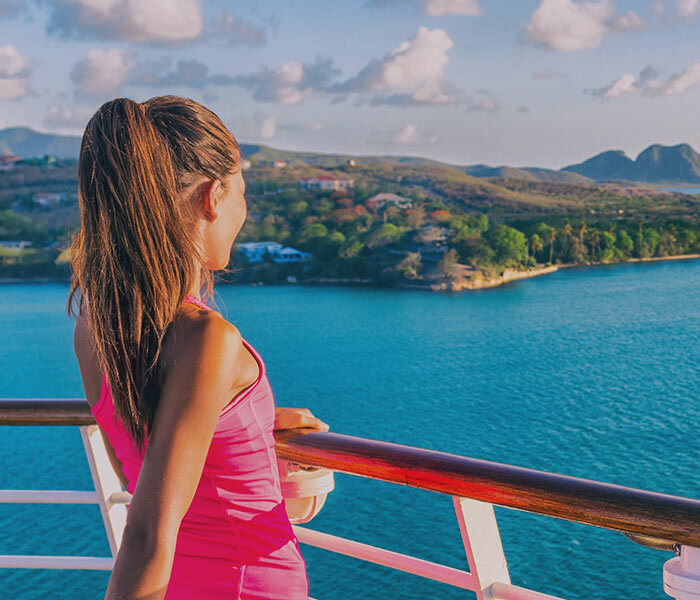 When thinking of the best luxury vacation for couples, the first images that come to mind are almost always connected to crystal clear waters and pristine white beaches. The following is a classification, ordered by geographical location, of tourists’ most requested exotic destinations who intend to organize a luxury holiday for couples. The most beautiful and exclusive archipelagos in the world are part of this geographical area, starting with the Cayman Islands which are composed of three idyllic islands and offer all the luxury you could ever imagine. Total relaxation, exquisite dinners, exciting nightlife, crystal clear waters in contrast with the colors of the reef below. This and much more is what the cosmopolitan atmosphere of the Grand Cayman, the main island of the three islands of the archipelago, can guarantee. Known for its breathtaking cliffs, Cayman Brac is a destination off the beaten path, therefore, perfect for a luxury vacation for couples. It allows nature lovers to learn about rare flora and fauna as well as countries with prominent names such as Cotton Tree Bay or Watering Place. The accommodations on this island, often chosen for weddings, are ideal for a moment of relaxation after a day discovering the local beauties. Lastly, only 10 miles long and 1 mile wide, there is Little Cayman, the island of peace and quiet par excellence. It is characterized by paradisiacal beaches that often don’t have tourists like the splendid South Hole Sound Lagoon, where it is possible to take private baths in water that embraces every shade of blue. And don’t miss the Booby Pond Nature Reserve. There are also more active proposals such as bike or scooter rides, rather than kayaking to reach the nearby Owen Island that offers marine landscapes in their purest and most uncontaminated essence. St. Martin is another exclusive Caribbean destination. We are talking about an island with a total area of 37 square miles governed by Holland and France and inhabited by residents from 70 different countries. This mixture of cultures characterizes a place that, especially in the French part, ensures greater quietness, a more refined cuisine, a port with open-air cafes, markets and various opportunities for shopping or leisure. Another pearl of the Caribbean is St. Barthélemy, which cleverly mixes Caribbean and French essences, offering a sophisticated approach to relaxation and peace of mind. Here, tourists can spend the whole day on the beach, then get lost in fashion-inspired French shops rather than going to see an exhibition in a gallery, watch the sunset while enjoying an aperitif at the port and finally choose from about 100 excellent restaurants for an elegant dinner. The island, only 8 square miles wide, is hilly and offers several protected inlets with its picturesque and quiet beaches, making it a perfect destination for luxury travel for couples. A must see is the city of Gustavia, which develops around a modern harbor where mega yachts gather together as well as fishing boats. Behind it, the hills are dotted with the red roofs of the villas, and the avenues are populated by various shops. Another local feature is the high quality of the cuisine. Everything here, in short, is refined and elegant. We are still in the Caribbean, but this time we are moving to the Bahamas, an archipelago of over 100 islands. The capital is on the island of New Providence, a heterogeneous mix of social life and uninhabited expanses, large resorts and accommodations slightly hidden from view. This island, where two-thirds of the local inhabitants live, is often only a crossing point because it is characterized by a frenetic lifestyle, almost like that of the Western world. However, there is no lack of pleasant places to find peace, especially in terms of white beaches, where the only sound you hear is waves. The Abacus Islands, which are part of this archipelago, are also in high demand for luxury holidays for couples. They are characterized by an almost wild and uninhabited environment while allowing access to high-level services able to meet any need. Here, ecotourism is very widespread. Tourists can explore the pine forests where wild boars and wild horses live, as well as the rare Abaco parrot and myriads of rare birds. For this reason, among the most requested activities, walks with a final stop at the abandoned beaches that meet at the edge of the forest along the trekking routes stand out. You can also go kayaking to discover protected areas but, for the more traditional activities, there are proposals like golf, tennis or beach volleyball. In the Caribbean area, we also find an evergreen, the Dominican Republic, with its beautiful peninsula of Samana that almost seems like an island in its own right characterized by coconut trees that skim the water of the sea. It is a sort of microcosm that embraces every extreme, from poverty to wealth, from new highways to ill-traced paths. But what most characterizes this peninsula are the green mountains, the tropical forests, the small villages dotted with stands of colorful fruit and vegetables, the exclusive and pristine beaches and the incomparable, radiant heat of the Dominicans. The bay is also a favorite place for whale watching from January to March. The luxurious and modern Puerto Bahía Marina & Residences and Bannister Hotel resorts are located here and have brought a new type of tourism to this area, aiming for exclusivity. Mexico definitely stands out among the favorite destinations for those looking for the best luxury vacation for couples because it does not disdain historical attractions and outdoor activities. Tulum, in particular, ensures an intimate atmosphere and exotic experience, two key elements of a romantic holiday. With a coastline stretching from the Sea of Cortez to the Pacific Ocean and 350 days of sunshine, Los Cabos is also one of the most popular destinations. Here, the twin cities of Cabo San Lucas and San José del Cabo offer various active experiences. Among them, the Corridor tourist center offers exclusive resorts with everything you need for an unforgettable vacation. 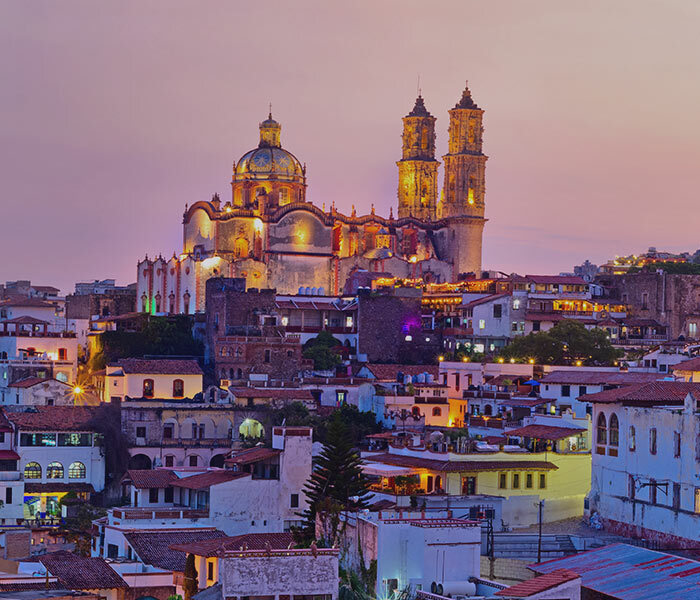 Obviously, Mexico is not only this; we are talking about a multifaceted country characterized by forests, deserts, coral reefs, but also ancient archaeological sites and colonial cities like Oaxaca and San Miguel de Allende, which are next to vibrant cities like Mexico City. Let’s move eastwards to the Pacific Ocean. In the middle of nowhere, you can find the famous Fiji Islands, a real paradise that represents a romantic escape par excellence. With its luxurious accommodations, unparalleled beaches around the world, excellent spa treatments and refined cuisine, they are the ideal destination for those planning a luxury holiday for couples. Indonesia is another evergreen especially in reference to Bali, better known as the Isle of Gods. It is a truly versatile earthly paradise, able to offer something to every type of tourist. It is an extremely attractive destination, characterized by beaches, volcanoes, rice fields, forests, and renowned resorts. And it is able to satisfy even the most active lifestyles with dive sites, golf courses and beaches for surfers. But what makes Bali unequaled is the tradition and commitment of the inhabitants of the local villages who keep it alive with ceremonies and rituals. There are hundreds of temples, rituals, artisan pieces of work and dances that are not a show for tourists but a concrete connection with the old local Hindu faith, a culture that is still alive and welcomes tourists with open arms showing itself in all its splendor. 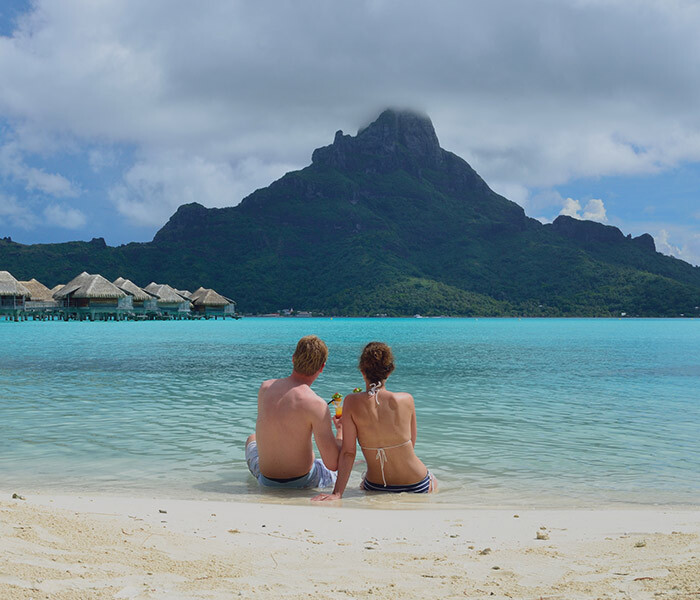 Who, when thinking of the best luxury vacation for couples, does not put Bora Bora on the wish list? Whether it is true or not, it is indisputable that if we were asked to describe a paradise island, we would probably talk about the characteristics of this uncontaminated corner of French Polynesia. A lagoon with blue and green hues, a tropical forest, a coral reef, endless coves with deserted beaches and coconut trees. These are the elements that make Bora Bora a postcard destination. The island itself, between beaches and hidden temples, can be visited in its entirety in a few hours. It is home to just under 9,000 Polynesians who are waiting to show visitors the pristine beauty they live in. Another Polynesian island is Tahiti, perhaps the most chaotic of the archipelago (118 total), but it is not a less seductive island for this. Its name brings to mind an idyllic place with blue lagoons surrounded by palm trees and white sandy beaches. Added to this are the sought-after details associated with modernity as a 5-star resort and boutiques of the best brands in the world for a truly uncompromising luxury holiday for couples. When talking about Thailand, we are spoiled with choices: all the islands are able to offer a luxury vacation with 5-star accommodation and high-quality services even in the most popular locations or in those apparently more conservative. This is why choosing an island is not so simple. Perhaps the most renowned and romantic is Phuket, a fabulous location characterized by beautiful beaches and restaurants of all kinds, as well as hotels and the possibility to carry out diverse activities. 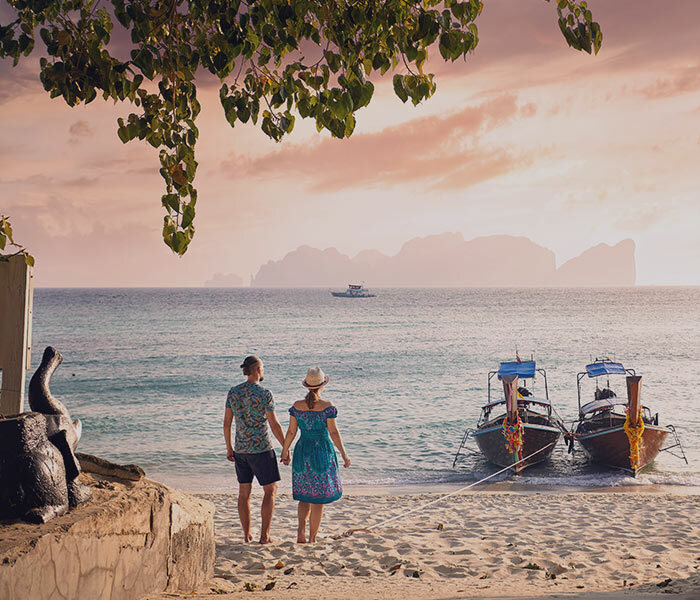 It is certainly a more “chaotic” stop than other solutions and, for this reason, it is often combined in packages with holidays to Ko Phi Phi, Krabi, and the idyllic Similan islands. All trips to the islands of Thailand leave from the capital, Bangkok. It is the kingdom of chaos, but a tour of the aromatic streets, the enchanting countryside and the ruins of the ancient city Ayutthaya are highly recommended before enjoying a few days of relaxation on the pristine beaches. Part of the Asian continent but almost “of another planet” are the Maldives, a classic romantic getaway for a luxury holiday for couples for any occasion. Off the coast of Sri Lanka, they are composed of atolls dotted with exclusive bungalows that touch the crystal clear waters. Here, tourists can indulge in every vice, from beachfront massages to private dinners on the sand. All that is said about these islands is true: the pristine beauty of the coral reef and the transparent colors of the Indian Ocean, the distance from chaos, indigenous vegetation and friendly people. Everything corresponds to the idea that each of us has of the Maldives, an archipelago of 1,200 islands enclosed in 26 coral atolls. The whole area occupied by these islands is slightly more than 100 square miles. This means that wherever you find yourself, you will surely be within walking distance of the beach. Africa is a more indigenous but no less exclusive destination. Those looking for the sea and luxury relaxation should not miss what the Seychelles offers, an archipelago of over 100 islands of uncontaminated nature, white beaches, majestic granite cliffs and jungles of palm trees. 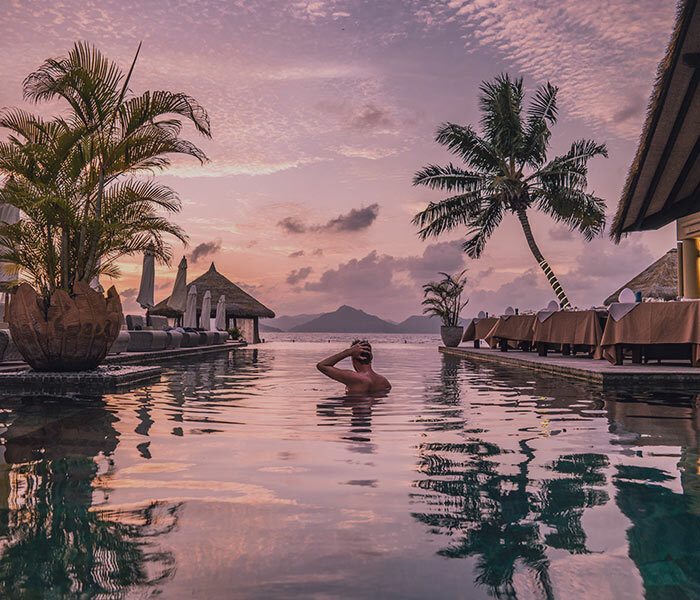 Seychelles, among the most exclusive and luxurious archipelago countries in the world, is a perfect escape for those looking for the best luxury holiday for couples. Known as the Galapagos of the Indian Ocean, the Seychelles islands offer tourists one of the most well-preserved tropical habitats in the world. Many islands are still uninhabited, although in ancient times they served as hiding places for pirates, and, for this, they are home to plants, birds and very rare animals, including giant turtles and the Coco de Mer, once considered the fruit of the tree of knowledge. Before arriving on these islands, travel packages often include extraordinary safaris in Botswana rather than Tanzania. Even in these places, as in all nature reserves, where safaris are organized, exclusive accommodation facilities arise, guaranteeing luxury and maximum comfort without compromise. If our idea of luxury is closer to worldliness than to relaxation in uncontaminated environments, then, for luxury travel for couples, we recommend a structured visit that is enriched with every possible “pampering” imaginable in a modern metropolis. Here are our favorite destinations, proposed in geographical order, for tourists interested in discovering the cornerstones of our century. Endless lights, oriental food, hectic life: these are the ingredients of the fascinating capital of Japan, known for being a city full of contrasts. Shrines and gardens are calm breaks that alternate with crowded streets and are surrounded by huge buildings. Traditional inns, on the other hand, alternate with western-style restaurant chains that offer a more charming atmosphere. For shopaholics, the local craftsmanship goes hand in hand with the most modern electronics. And at night you can opt for traditional karaoke or a modern club. 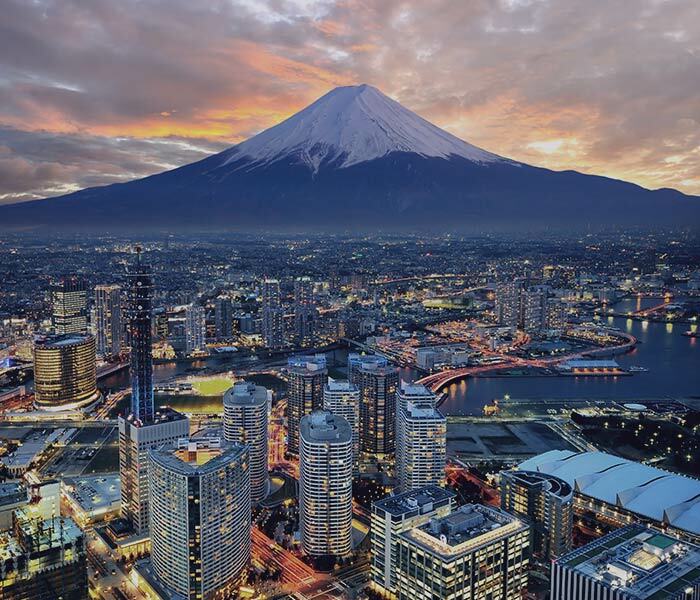 Whether you are looking for tradition or you prefer discovering the avant-garde, Tokyo will be able to satisfy everyone. An enigma. 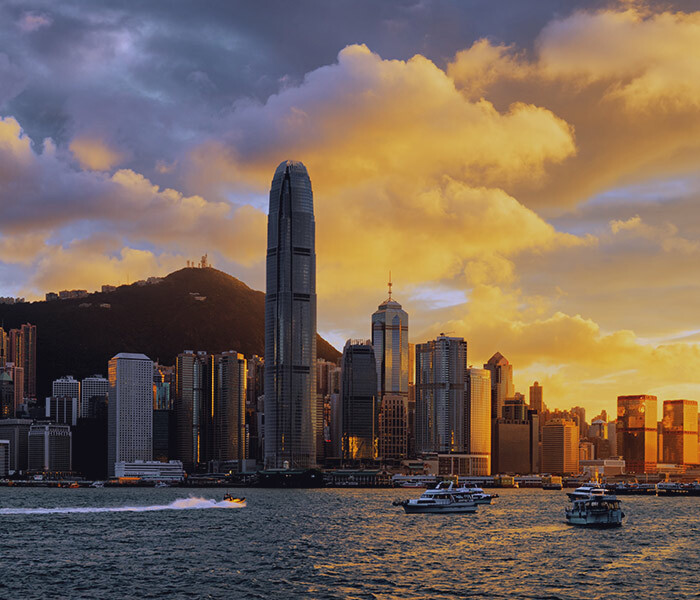 No one could better describe Hong Kong, the city of extremes, whose extraordinary growth as an international meeting point coincides with the increasingly vertical development of its skyline. A city full of contradictions, to which it owes its undeniable charm. Famous all over the world for being a true financial power, it hides a series of perspectives that contribute to its status as an urban city but, at the same time, an undisputed natural beauty. To realize this, simply explore its surroundings and immerse yourself in the natural habitats that surround it. So, after a day of shopping or discovering the most extreme modernity that winks at luxury, you can get lost in the many paths outside the beating heart of the city. From Lantau Island to Aberdeen Country Park, to the Shek O beaches and the mountainous beauties of Victoria Peak, there are more outdoor adventures on hand here than anywhere else in the world. 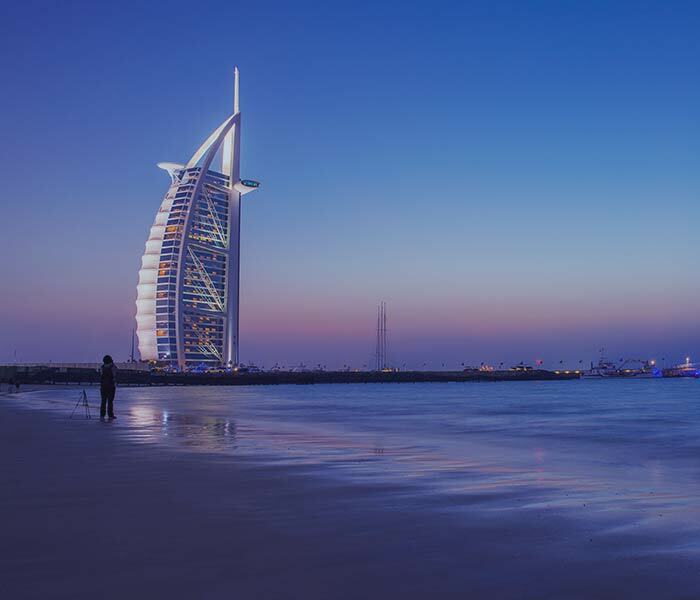 Is Dubai the city of gold and glamor or an exotic destination in the middle of the desert? Most of its visitors cannot answer this question easily. The multifaceted Dubai is in fact both. The international success of the local airline, Emirates, and the copious flight program of its aircraft can often mean that Dubai is nothing more than a crossing point between one airport and another. But actually more and more travelers opt for this city for their luxury vacation for couples, considering the white and fine sandy beaches, the warm temperatures all year long, the Bedouin culture, the local natural beauty, the lively souks in contrast with the avant-garde architecture, international cuisine, theme parks of all kinds and finally the windows of world-famous houses for shopping. 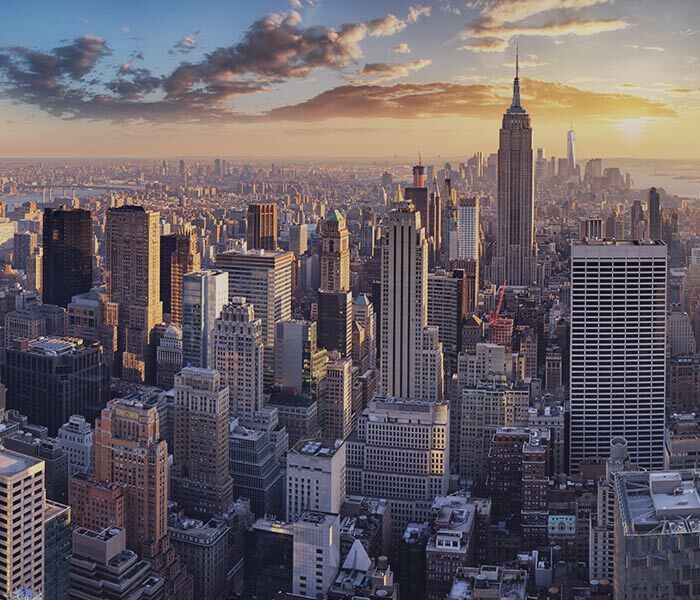 From the skyscrapers of Wall Street to the lights of Times Square to the paths of Central Park, the city of New York has inexhaustible energy. History meets modernity in this global center of entertainment, fashion, and finance. World-class museums such as MoMA and unmistakable icons such as the Statue of Liberty are parallel to less known but equally rewarding paths: shops and ethnic neighborhoods, ancient streets that have remained intact since the beginning of time that divide the spaces with trendy bars and restaurants that liven up the urban fabric. This and much, much more is New York, certainly a city to see at least once in a lifetime. The city of love par excellence. Lovers of the metropolis, how could they not consider Paris for a luxury vacation for couples? In fact, Paris and romance go hand in hand, and there isn’t anyone in the world who does not want to reach this destination. 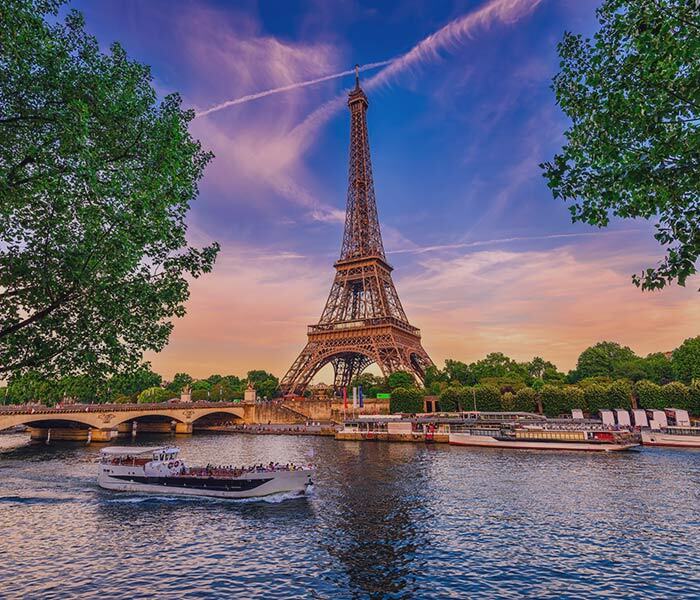 It is truly one of the most beautiful cities in the world, as confirmed by the countless breathtaking views it offers: from the epic Eiffel Tower to the Jardin des Tuileries, from the Louvre museum to small cafés. Beyond the beauty of the city, local culture is universally recognized and inimitable. Whether for a historic visit, a passion for fashion or a search for local art, the City of Light will fascinate anyone. A walk along the Arno offers a panorama that has remained unchanged for 700 years and that never ceases to amaze those who observe it. It is also a must to cross, with great patience, given the ever-increasing number of tourists, Piazza della Signoria. But what most of all attracts travelers from all over the world is in the heart of the city: the Uffizi, the wealthiest and most well-preserved representation of the Italian Renaissance in the world. Obviously, Florence is much more than art and culture. 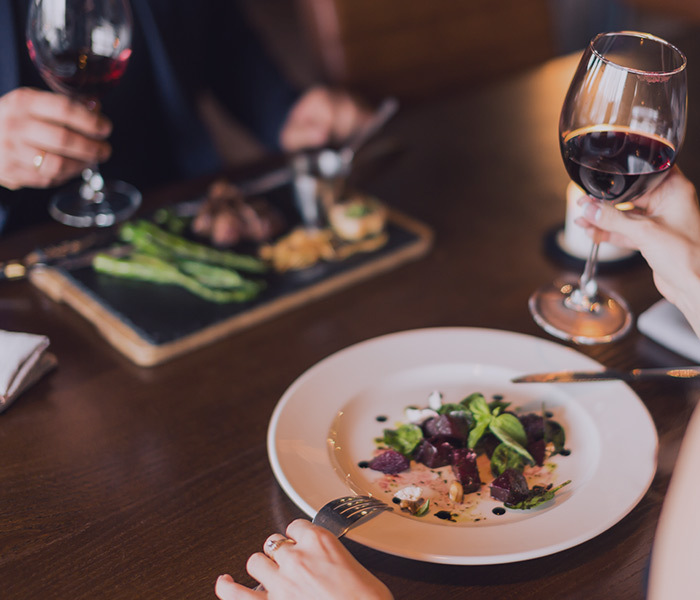 It is also, in fact, great food and excellent wine, resulting in an excellent spokesperson for Tuscan food and wine renowned throughout the world. Italy, permeated with romance in every corner, is undoubtedly among lovers’ favorite destinations for the best luxury holiday for couples. 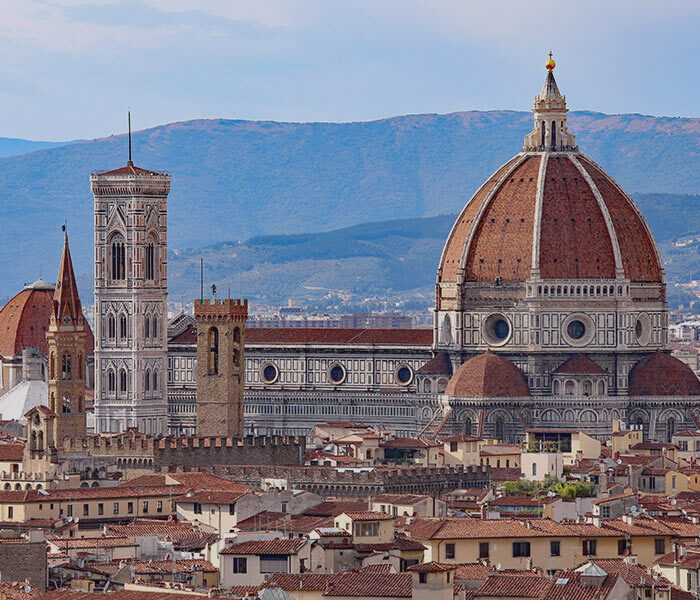 Among these favorite cities, we find Florence, the city of the lily that gave birth to the Renaissance and changed the way we understand and see the world. For centuries, its open-air museums and frescoed ceilings have captured the interest of travelers. It has a delicate charm; the refined palaces built in local stone are not flashy despite their large size. By day they are well placed in the natural context, but when the sun sets, and they are illuminated with skillfully positioned lights, they stand out enormously in all their magnificence. Still in Italy, but a little further south. How could we not mention the eternal city in the list of favorite destinations for a luxury vacation for couples? The capital of Italy lives in the present, but like no other city in the world, can evoke the past with force. For over 2,500 years, emperors, popes, artists, and ordinary citizens have left footprints that are still visible in almost every corner of the city. 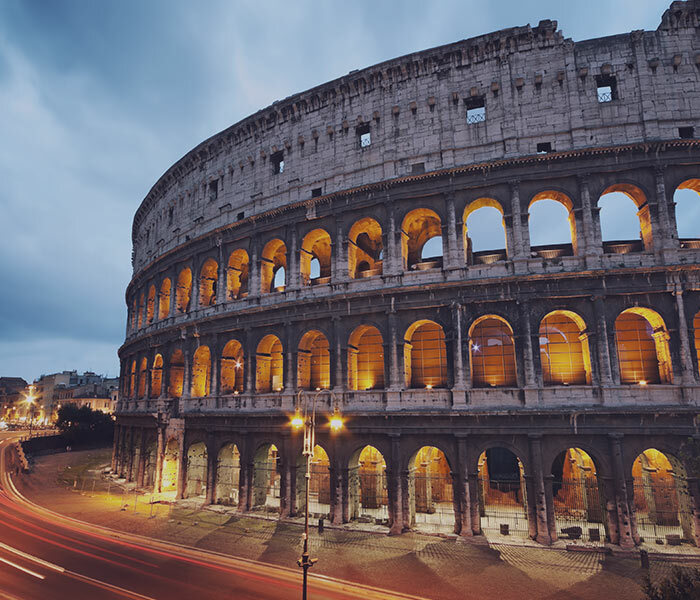 The archaeological excavations of ancient Rome, the churches overflowing with art, the treasures of the Vatican, the bars in Campo de’ Fiori, the beautiful and famous Trevi Fountain (and the list goes on) always draw the attention of anyone visiting here. But Rome is also an ideal place to practice “the dolce far niente”, or “laze” walking here and there. We have finished our ranking of the best cities for lovers looking for a destination for their luxury holiday for couples with two Italian destinations. But in reality, if we had to focus on this country, the list of locations to visit as a couple would be endless. They are cities overflowing with history and art, surrounded by pristine pastoral landscapes rich in natural treasures, guaranteeing prime quality elements for an unrivaled gastronomic tradition. 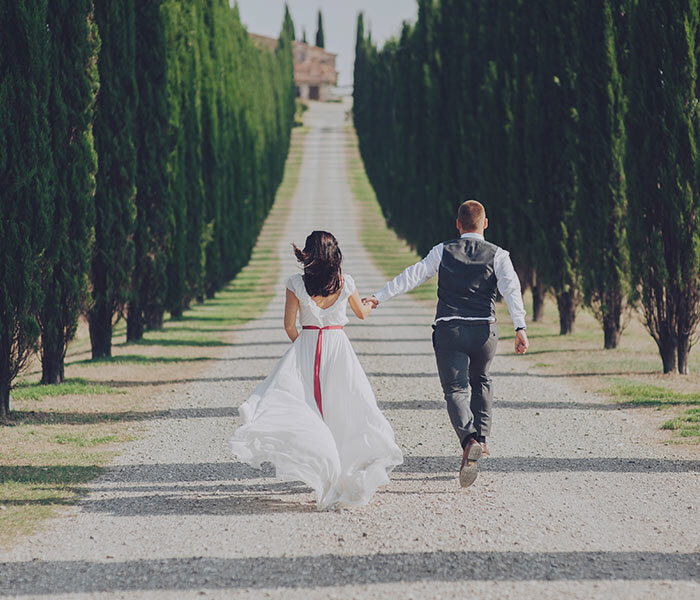 All this makes Italy a precious place to be discovered in every facet and, considering its undeniable romanticism, it is undoubtedly a favorite luxury destination for couples. Here are the strengths of this country of a thousand nuances. A pearl that is capable of representing the beauty of Italy well is Venice. Let’s talk about the romantic destination par excellence. Couples looking for a getaway for two will only have to get lost in the streets until they find the perfect corner for a glass of wine along the canals before dinner. 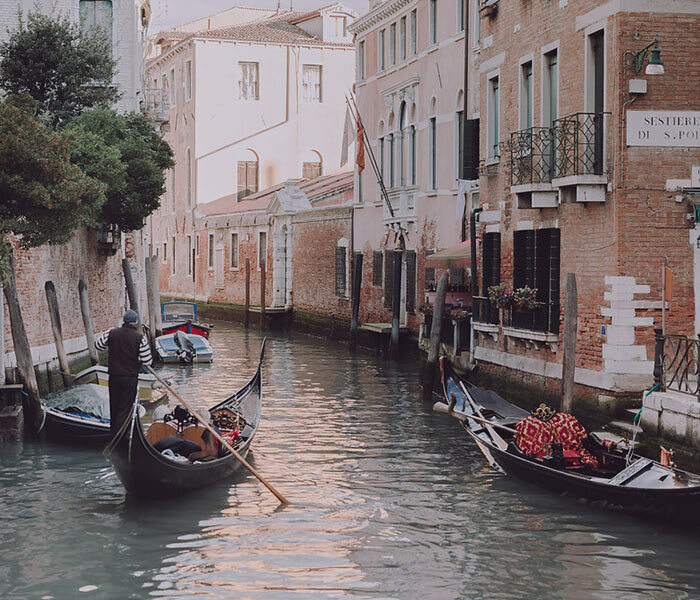 Venice is certainly one-of-a-kind, with channels instead of roads and boats instead of cars. The palaces, the churches, the splendid Piazza San Marco and the numerous islands that are part of the lagoon reflect centuries of history in what at the time was considered a major hub for trade between Europe and the East. Speaking of beauty, we cannot fail to mention the Amalfi Coast, known for its natural and architectural splendor. It is among lovers’ favorite destinations for traveling in the beautiful country, where they can get lost between natural wonders, among the historic houses of small villages clinging along the coasts all with an unforgettable view of the Mediterranean sea. Do not miss a visit to exceptional sites like the Emerald Grotto but also to medieval churches, gardens, and museums. Obviously, those are just two clear examples of how much “beautiful” there is in Italy. In fact, it is impossible to list all the fascinating destinations of this country, but just to name a few others, we remember the beautiful Lake Como, the exclusive Capri and the crystal clear waters of Sicily and Sardinia. Italy is a destination of exception for lovers of good food and good drinks. Do not miss a visit to the Langhe, in Piedmont, where delicacies of all kinds are produced, from truffles to Barolo wines. But even the scenography itself creates strong emotions: sweet vineyards, beautiful castles that dominate the valleys dotted with villages, churches, and wine bars, make this one of the most culturally and scenographically interesting areas in Italy. Like the Langhe, a little further south, we find another area that is famous all over the world and perfect for a romantic getaway for two. We are talking about Tuscany, characterized by a skillful combination of art, sumptuous panoramas, delicious and unforgettable wines and food. With its elegance and delicacy, Tuscany is perfect for an exceptional luxury holiday for couples. Also, in this case, the gastronomy is memorable in almost every corner of Italy. This is because, from the North to the South, cultural traditions are kept alive, but also and above all culinary traditions. So, in addition to the Langhe and Tuscany evergreen, we could mention southern Italy, above all the magical Puglia or Basilicata with their typical dishes, but also northern Italy and the alpine arc with recipes tied to the local traditions. 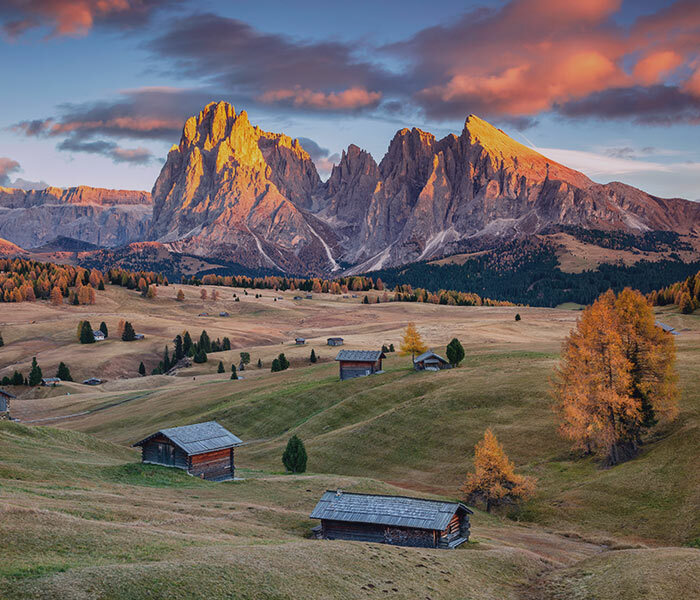 Italy’s geographical position and its elongated shape allow it to embrace different climatic conditions, managing to satisfy everyone’s needs. So, if you are looking for snow for a romantic getaway on skis, the alpine arch will be able to satisfy all tastes. 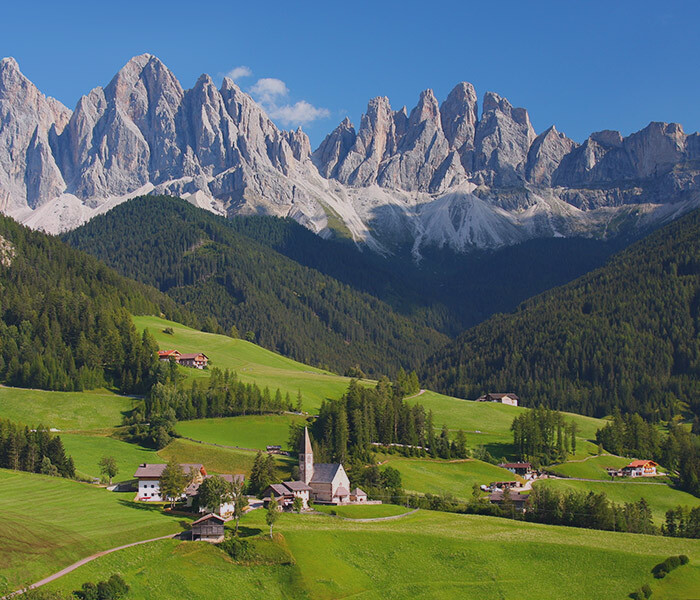 From the Dolomites to the Valle d’Aosta, you can find luxurious resorts designed for a demanding public that, in addition to ensuring a breathtaking view and one-of-a-kind cuisine, will amaze with high-end services such as 5-star wellness centers, often with heated water to enjoy the snow in a bathing suit. Lovers will never be unsatisfied. The typical Mediterranean temperatures, in fact, tickle those who prefer a dip in the sea that, in the summer months (from May/June to September/October), is warm and welcoming. The clear waters of southern Italy and its beautiful islands (Sardinia’s crystal clear waters are famous all over the world) will not leave you desiring more exotic destinations. But, when talking about cuisine, Italy is not only beautiful and “good”. It is also permeated with history like no other country in the world. Above all, Rome, the eternal city, which we made reference to above. A city whose artistic, architectural and cultural history dates back almost 3,000 years and has influenced the whole world. In addition to the famous Colosseum, the Forum and numerous ancient ruins testify to the power of the ancient Roman Empire. However, there are many testimonies of all the eras that the city has passed through. 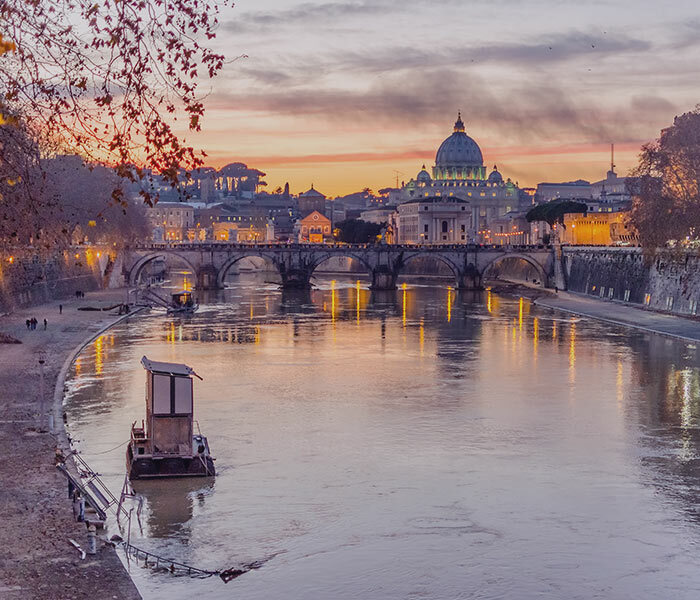 Inside the perimeter of Rome stands the Vatican City, home of the Catholic Church, where you can find the Basilica of San Pietro and the Vatican Museums that host numerous masterpieces such as the Sistine Chapel frescoes by Michelangelo. In addition to Rome, among other sites that ooze famous history are certainly the ruins of Pompeii that have brought to light the remains of the Ancient Pompeii City, buried under a blanket of ashes and lapillus during the eruption of Vesuvius in 79. An unparalleled archaeological site, well preserved thanks to the volcanic ashes that have even kept the bodies of different inhabitants of the time intact. Both the excavations of Pompeii and the history of the eruption that involved the city were at the center of numerous artistic works such as paintings, novels, exhibitions, films, fiction, and documentaries. The excavations of Pompeii just mentioned as well as the Dolomites, and many other sites in Italy are so important that they are recognized by UNESCO as deserving special attention in order to preserve them over time. In fact, Italy holds the highest number of UNESCO World Heritage Sites with 54 properties on the list in 2018 and numerous others awaiting approval. In particular, UNESCO (the acronym for the United Nations Educational, Scientific and Cultural Organization) established the World Heritage Convention in 1972, aiming to identify, maintain and protect this list of cultural sites and natural areas. At the end of this discussion of the best places in the world for a luxury vacation for couples, it is clear that Italy is an ideal destination, able to meet all kinds of needs with exclusive proposals that tickle all 5 senses. What other places in the world can guarantee the same versatility of Italy, where every town exudes charm thanks to some key features that do not turn their backs on other characteristics ranging from natural beauty to cuisine, to art or history? It all depends on the setting you want for your luxury vacation. So, if you are looking for good food and good wine, you can opt for the Langhe in Piedmont. But during your stay here, you will discover other pleasantries in addition to the cuisine, such as historical routes and pearls of art and architecture. So, apart from the cities you should see at least once in a lifetime, a luxury vacation for couples here can translate into full immersion in the Italian tradition. We would like to add that, considering the versatility of this destination, there is never a wrong time to visit this beautiful country. 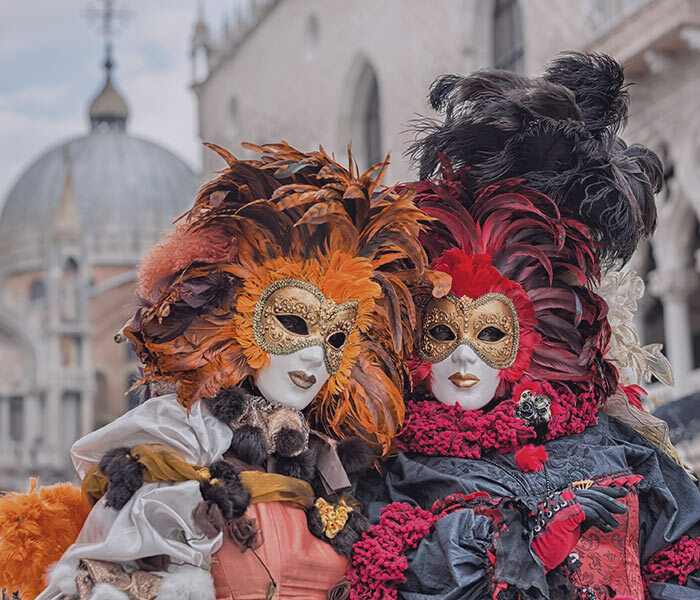 From November to February, however, tourism tends to dissipate, making the various locations less chaotic and crowded and the most sought-after sites such as the Vatican Museums of Rome or the Uffizi of Florence more accessible. Spring, on the other hand, is at full capacity in terms of tourism with the Holy Week that culminates into the Easter holidays. From that moment on, events and entertainment opportunities do not stop, building up to a very full calendar in the summer season. In fact, the highest concentration of tourists arrives from June to September, especially in seaside or mountain resorts. So, in these months, the less crowded destinations are the cities, in fact, they are more populated by foreigners than by locals. To conclude, if you think that Italy may be the ideal destination for your next holiday, we have gathered, thanks to our experience, a complete list of exclusive activities and locations to visit that you’ll have difficulty finding on Google.